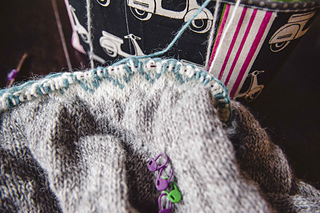 2015_1_7 Attempting a sleeve swatch; I read on someone’s project notes that they did that. Seems like a good idea. 2015_1_10 With size 7 needles, I get stitch gauge but I’m short the row gauge by 6. Which seems really really off. Maybe I’m counting wrong? 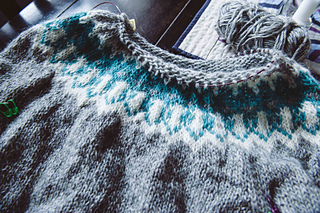 2015_1_11 after sleeve increases, knit 14 rows and not 17. 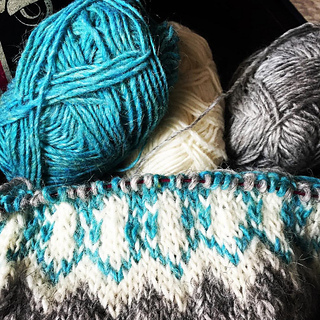 2015_2_27 I’m on round 5 of the colorwork. Finally. 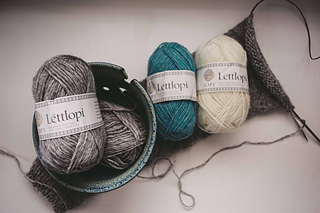 It took me quite a while to get to this point because I had to knit, then unknit, then knit, then unknit again. UGH. But. Lessons learned on how to join the sleeves and body together. And how to do wrapless short rows. 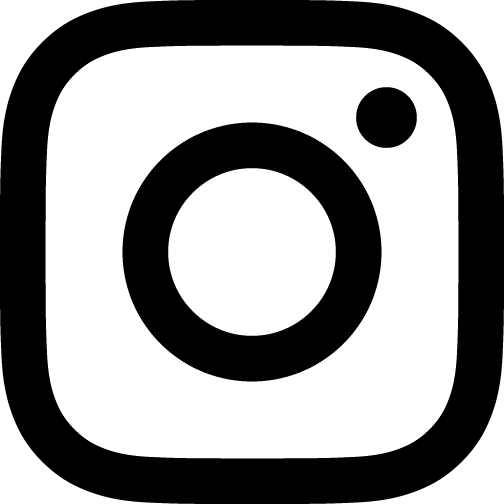 I followed the video tutorial on Ysolda’s website - really helpful. 2016_8_20 Whew! Finished! 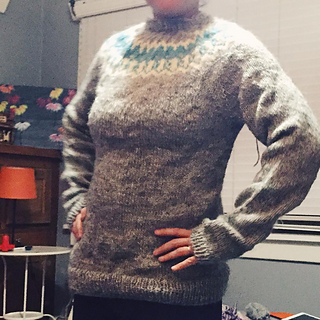 Had it not been for Ravellenics2016, this stinking sweater would still be a WIP. Just needs a good soak and block. My mom is visiting this week and she is impressed :) I consider that a win.